In the modern world, flats and houses are decorated in many ways. There are dozens of styles. In addition, each room can have an individual character or the whole apartment will be designed in one concept. Despite the rapid development of modern life, its continuous change in appearance, vintage style is still fashionable. It's nice to spend the day in a noisy, urban atmosphere, go back home, where comfort, peace and warmth reign supreme. Antiques contrast sharply with modern innovations. Such a change of scenery is conducive to good mood. Lighting particularly affects the impression and mood. Classic, modern, minimalism, each interior style has its own characteristic features and its own energy, distinguishing it from all others. The atmosphere that this style gives is the touching, romantic vintage lamps that make all the interior lighting recognizable and loved by many. The charm of the vintage style is largely due to the special color palette of the interior. Here there are delicate, airy colors: shades of blue, lilac, pink, beige, brown, pure white. Usually shades are chosen for the main color chosen: blue is played in various shades of gray and white colors, pink, distinctive brown is complemented by delicate shades of coffee and chocolate. 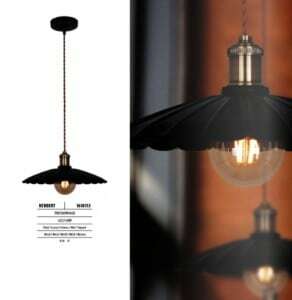 A weak, warm lighting is suitable for the delicate spirit of the vintage style . 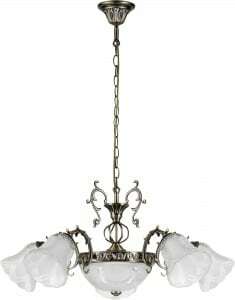 Soft diffused light of the main chandelier, cozy table lamps, are tools for creating a vintage interior. 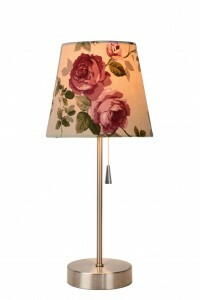 The materials used in the lamps are wood, glass, metal, fabric on lampshades. To illuminate the kitchen, the dining room is recommended to use a combination of common lighting: chandelier, ceiling lamp and local lighting built-in lamps and sconces in the cooking zone. It is very important to properly illuminate the dining table. 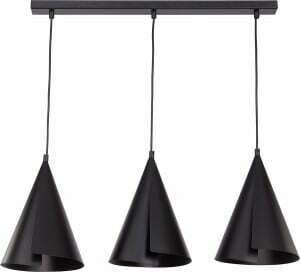 The appearance of the lamp above the table may be different from simple to complex pretentious forms. But most importantly, make the surface of the table covered with a stream of light. 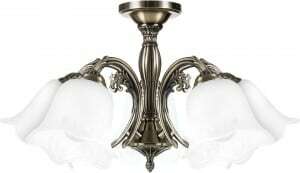 How do you choose vintage lighting? 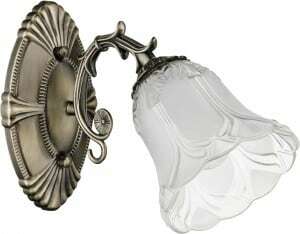 As a rule, vintage lighting devices are very complex products, they can contain many decorative details, voluminous composition of glass, etc. Or they are as simple as possible with strict geometric shapes. 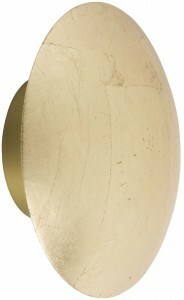 But in any case, a vintage lamp, a chandelier in this style or a sconce will have an exclusive and original look. In addition to the classic options are also available original solutions combining both vintage functions and trends with other, more modern styles. 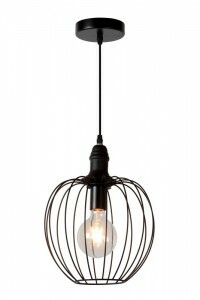 The original solution is a chrome table lamp containing an Edison bulb or a hanging lamp with a shade of gray iron perfectly located also in the loft style. 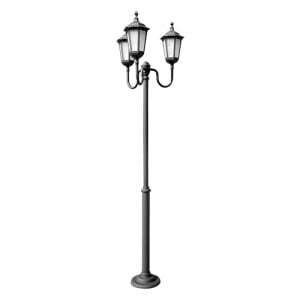 Most often, a vintage table lamp, a vintage chandelier and each other vintage lamp are made of metal, wood is also used. As mentioned above, you can find a rich glass composition. Products with lampshade also perfectly match the old interior. It should be noted that in this style the lampshades look as succinctly as possible, do not contain any figures. But the skeleton, on the contrary, can be bent. 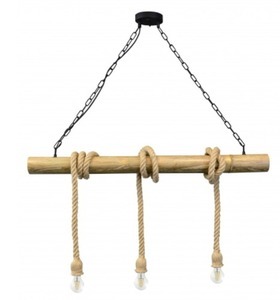 Hanging vintage lamp, whose arms look like a spider legs made of metal in black color without lampshades, but only with modest light bulbs is a combination of vintage and modern style. The lamp has as many as 10 light sources and perfectly illuminates the surface of the large living room and dining room. A large field of fantasy allows you to create many unique, completely different projects. The interior of the apartment, comfort largely depend on the choice of lamps. Lamps open in the form of a stylization under an old chandelier with candles will look beautiful, only with designer lights imitating the flame of a candle. Vintage home lamps in the form of a cone, with shades in a shade of milk white, look very impressive. Lamps with an interestingly curved frame in the color of patina are not only very beautiful and spectacular, but also allow you to recreate the whole concept of interior design in a vintage style. 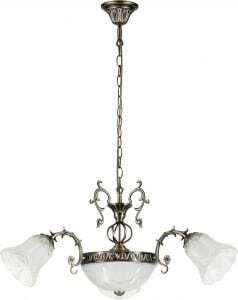 Chandelier in patina and white color of old design refers to antique models. 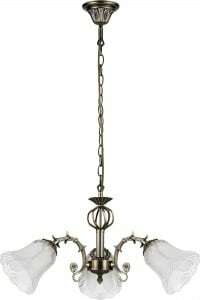 Beautifully crafted with top lighting, it gives the interior delicate, dim light perfectly reflecting the vintage style. 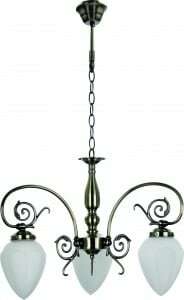 Glass lampshades in an oval shape combined with a high-quality metal frame will also be well intertwined with the classic style. 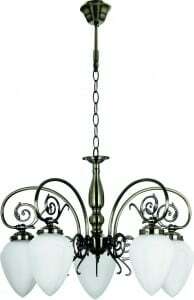 Living room, bedroom and dining room are suitable rooms for installing such a chandelier.